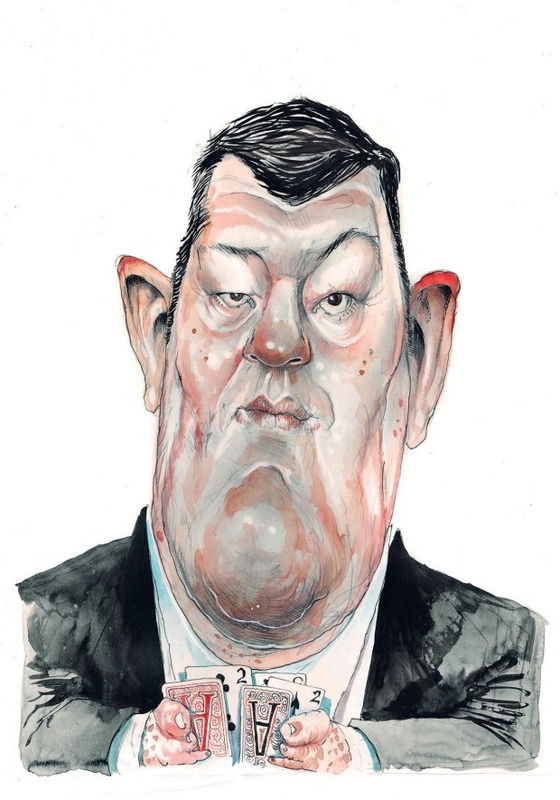 James Packer’s authorised biography will be compulsory reading for shareholders in his gaming empire, Crown Resorts, because it lays out the myriad risks associated with backing the highly unpredictable billionaire. After reading the warts and all account of Packer’s life, most of which is in his own words, two things are clear to Chanticleer. Firstly, there is an unhealthy blurring between Packer’s private and his public interests. Too often his private interests, held through Consolidated Press Holdings, are involved in transactions with Crown, which is 46.1 per cent owned by CPH. There is no suggestion that the transactions undertaken by Crown with CPH and vice versa were not undertaken at arm’s length. Nor is there any suggestion that there were not independent valuations of assets prior to each transaction. Crown Resorts owner James Packer has opened up about his life in an “authorised” biography. It’s just that there are too many examples of these transactions dotted through the book. What is interesting is that they tend to occur during periods when Packer has been facing pressure in his private life. 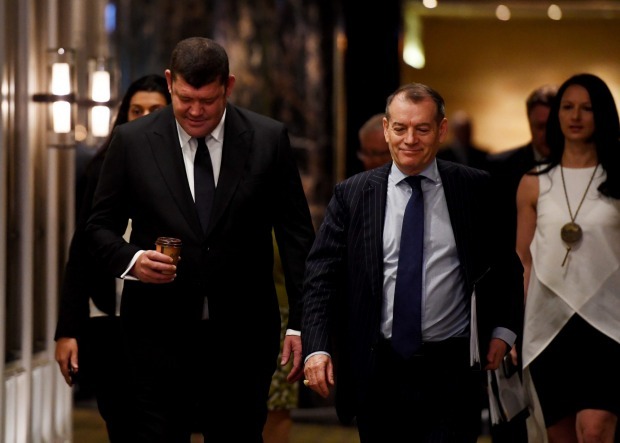 For example, related party transactions spiked when Packer needed to reduce the debt in his private company or when he had to meet private obligations such as paying his sister, Gretel, $1.25 billion as part of her inheritance from Kerry Packer. Secondly, Packer emerges from the book as someone prone to making impetuous decisions. Sometimes these decisions have delivered big rewards for both him and public shareholders and sometimes not. He appears to be too easily influenced by business people who cross his path and end up making more money out of deals than him. He does not appear to be a very good judge of character. After years of upheaval, there is now a formidable management team running Crown. The team is led by executive chairman John Alexander, one of the few journalists to have proven he can make money as well as write about it. The biography reveals Packer’s battle with alcohol and prescribed medicines. It is clear he often struggles with his emotions. He regularly sacks people during fits of temper, then later regrets it. At other times he will pour out his heart to professional advisers as if they were psychiatrists. One abiding theme is the blurring of lines between Packer’s professional and personal relationships. This tends to cloud his judgment and may have led to decisions that were not in his long-term interests. That is not to say there are no examples in the book of his brilliance in deal making. He made about $5 billion selling PBL Media but promptly blew up a large proportion of that on a series of deals in Las Vegas. Two of his best investments, SEEK and Challenger, were sold to pay down debts built up in the reckless Las Vegas expansion. But in selling out of these companies he left about $4 billion on the table. In the case of SEEK, a measured, long-term approach would have allowed him to capitalise on more than a decade of hard work. Other billionaires have shown that fortunes are built through patient investment capital over a generation. Packer’s sale of CMH to Rupert Murdoch was a brilliant deal. It occurred before the collapse in pay TV subscriptions. Since Murdoch bought CMH, he has written down Foxtel and Fox Sports by $2.7 billion. Shareholders in Crown probably had no allusions about what they were getting when they invested in the company. After all, to all intents and purposes, it is a family company run to suit the whims of its owner. Of course, Crown does have traditional corporate governance arrangements. There is a board comprising a majority of independent directors, with outstanding careers in their chosen fields. Also, after years of upheaval, there is now a formidable management team running Crown. The team is led by executive chairman John Alexander, one of the few journalists to have proven he can make money as well as write about it. He is backed up by the experienced money man, Mike Johnston, and the hard line lawyer, Guy Jalland. As long as this triumvirate is in charge of Crown it is reasonable to expected commonsense decision making and the completion within budget and on time of the $2.2 billion Crown casino at Barangaroo in Sydney. But the book, The Price of Fortune (HarperCollins) by former Financial Review journalist Damon Kitney, makes it clear that at any time Packer could make decisions that go against their advice. The book has several examples of Packer ignoring advice from professional advisers or taking advice from people who let him down. Packer has bravely admitted to suffering from mental illness and Chanticleer wishes him well for a full recovery. But shareholders in his public company need to absorb the warnings contained in this “authorised” version of his life.